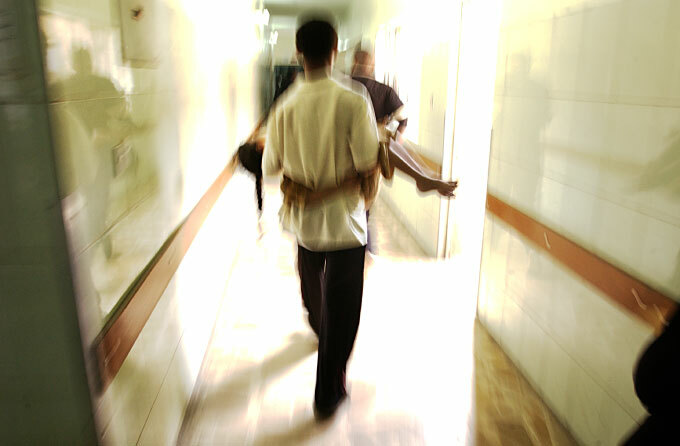 An man rushes his daughter to the emergency room at the Yarmouk hospital in Baghdad. The girl was injured when a kids' neighborhood scuffle over a ball turned into a gun fight between adults. Without a police force in the weeks following the U.S.-led invasion, gunshot injuries became commonplace.